Are your looking to add extra fun to your next party, reunion, or wedding in the Salt Lake City, Utah area? Maybe you would like to find an activity that you and your family could enjoy? Line dancing instruction and karaoke may be just what you need. Arrange for Ray Rhea DJ and Square Dance Caller to add some spice to your gathering with lively music and dance lessons. As a square dance caller, our owner knows how to get the party in Salt Lake City, UT, going. When we come to your event, we bring experienced instructors and a variety of music that gets dancers of all skill levels moving. You can count on us to bring good singing, good dancing, a friendly personality, and a strong, likable rapport to guests of all ages. Contact us in the Salt Lake City, UT area to learn more about our wedding and party entertaintment services. Our team teaches square dancing, line dancing, and round dancing. Karaoke also available. 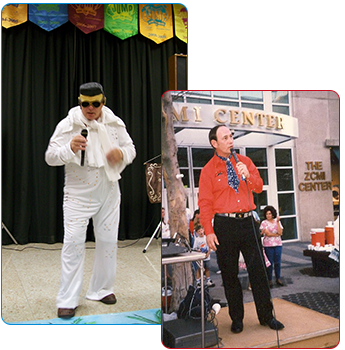 Our instructors have taught and performed in many western states, and national conventions. In addition to lively music and fun times that will leave you and your family and friends wanting more. You can count on patient, professional instruction. Other services include mainstream to plus level square dance calling and cueing phase II and III for round dancing.